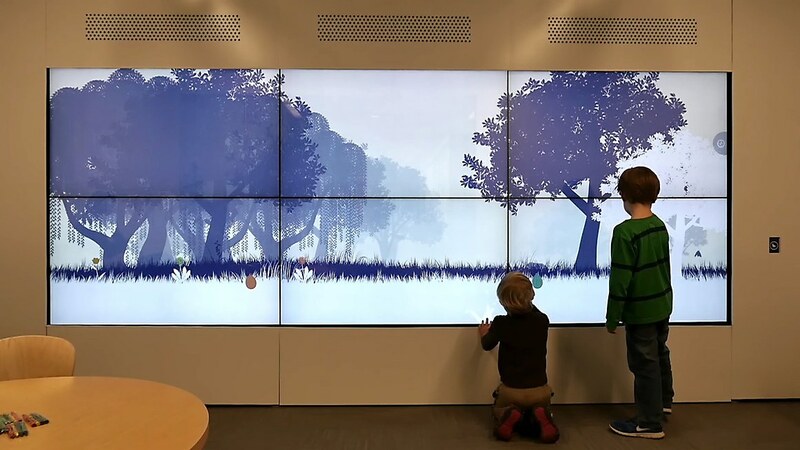 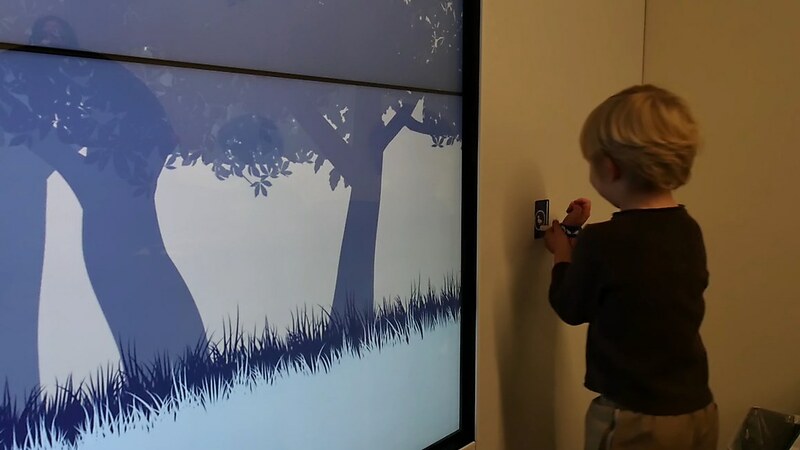 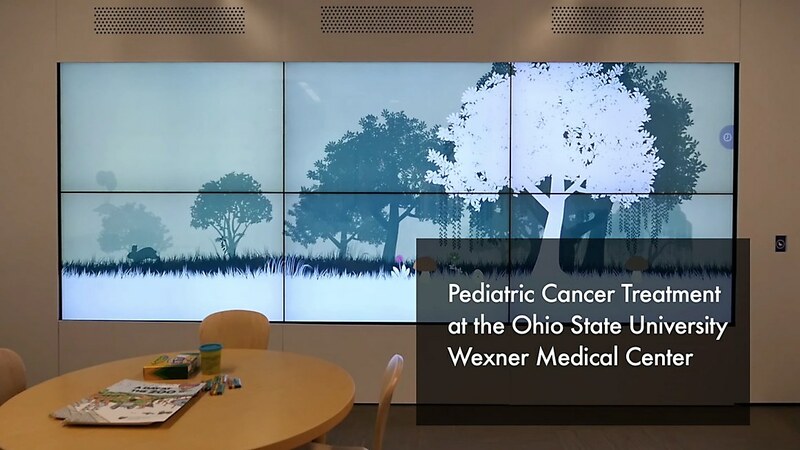 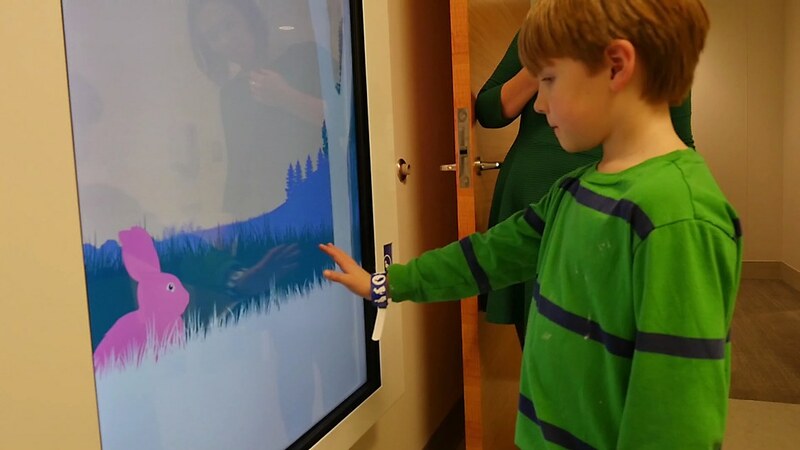 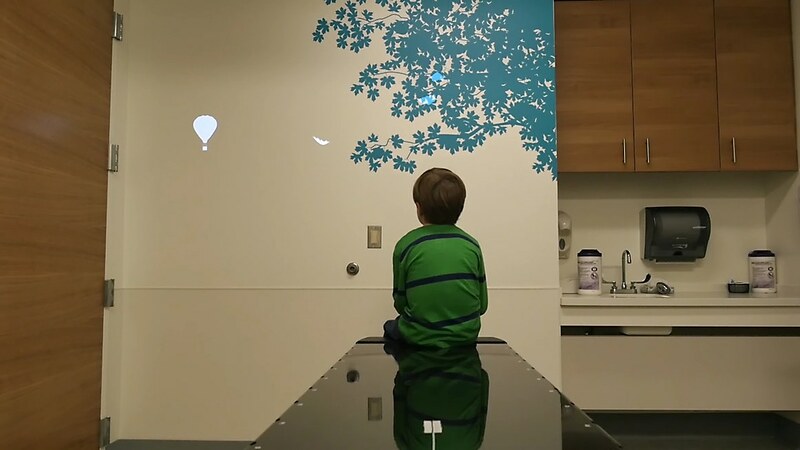 Overview: In the waiting room of the Department of Pediatric Radiation Oncology at Ohio State University’s Wexner Medical Center, a young patient plays with a surprised virtual frog. 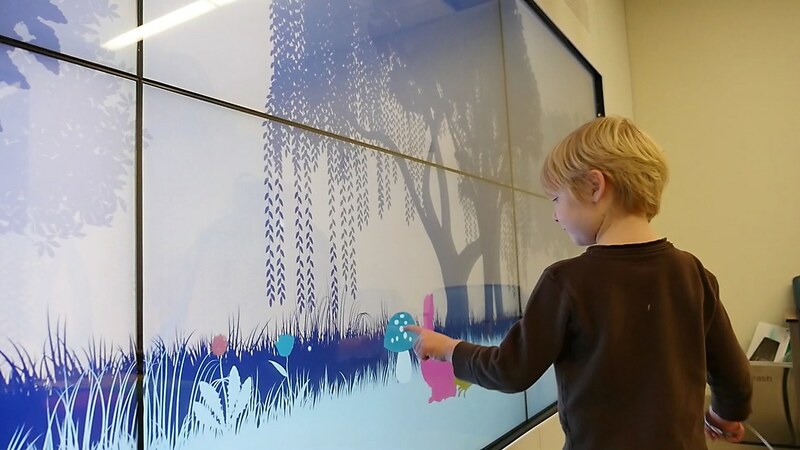 The frog, a bunny and a duck are the three avatars of Forest Friends, an interactive installation that provides the center’s patients with a positive distraction from the stressful, repetitive experience of radiation treatments. 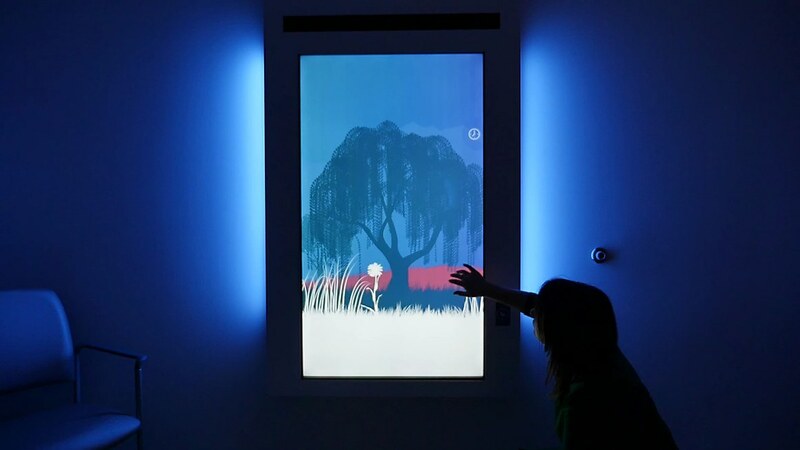 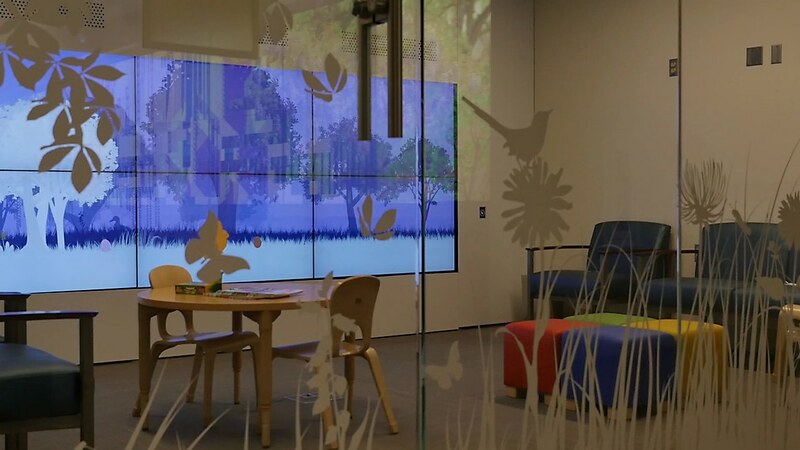 Children can choose their avatar and play with the animal via interactive windows located throughout the center—transcending the four walls to embark on an epic woodland journey. 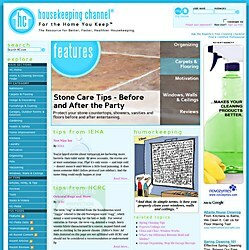 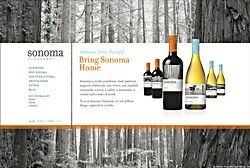 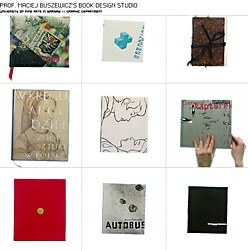 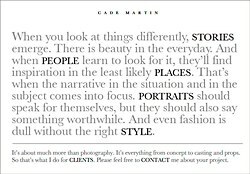 •The target audience was pediatric cancer patients up to age eighteen. 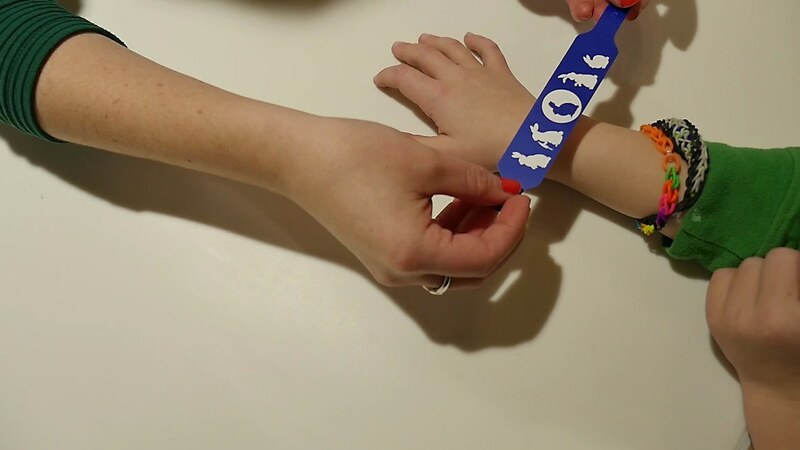 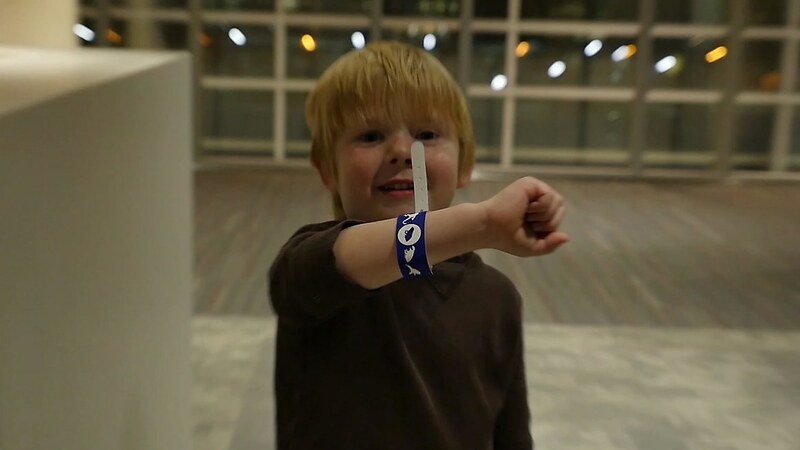 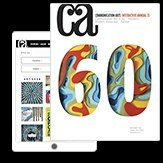 •Children choose their avatar by selecting a near field communication (NFC) bracelet. 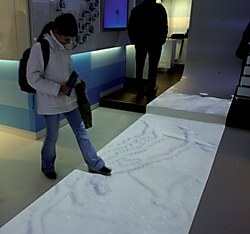 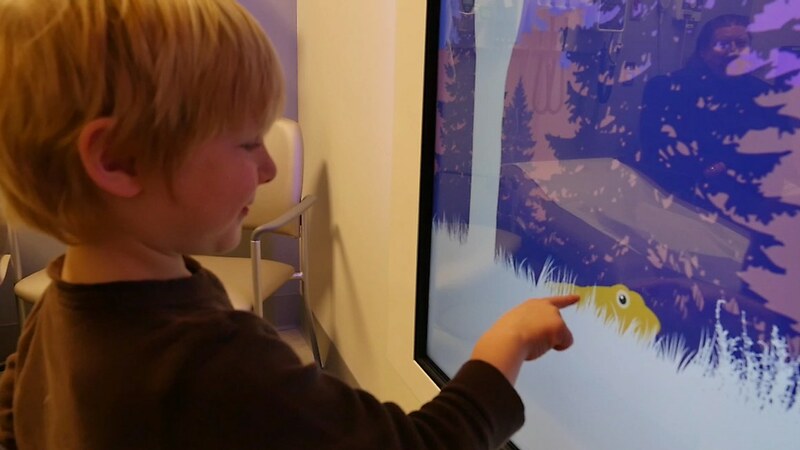 Each interactive window along the visit has an associated NFC reader that enables children to interact with their friend. 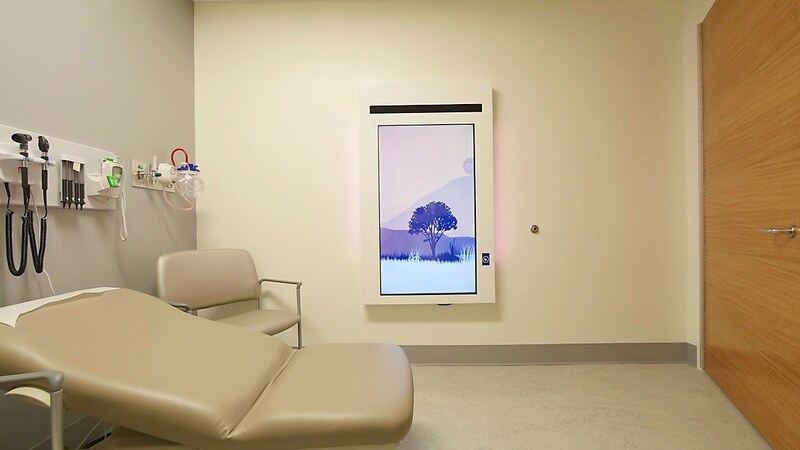 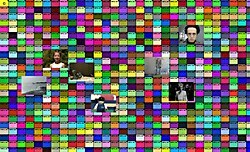 •Treatment can continue for fifteen days in a row, so interactive design firm Potion developed a system that evolves day by day with each user’s input.